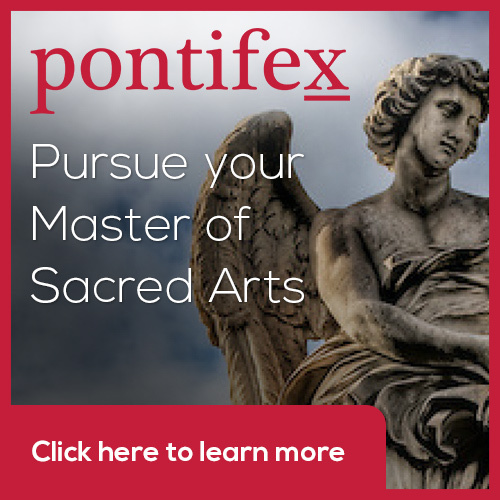 Is there a natural style of sacred art for the Latin Mass? The Mass, at the heart of the liturgy as a whole as it was celebrated after the Council of Trent was the driving force for a cultural movement that was the response to the Protestant 'reformers', the Counter-reformation. This is, to all intents and purposes, the Mass of the 1962 Missal. The Council of Trent was the impetus behind the development of an artistic style that was in harmony with it and eventually became what called today, the baroque. The art that developed after the council closed in the mid-16th century did so as a result of some simple directives of the Council so as to serve the worship of the faithful in the liturgy. While the liturgy itself, I suggest, was the most important influence, there were external influences as well. The tradition grew out of the style of the masters of the High Renaissance and other great painters of the 16th century, especially Titian. This was the baroque. Caravaggio is credited with popularizing the style, beginning around 1600, but perhaps a better articulation of what became the baroque style was done slightly earlier by another Italian, Federico Barocci. (His first name is Federico, not Frederico!) Consider this painting, it is of St Jerome and was painted in 1598. The figure of St Jerome is painted with the most naturalistic in coloration and is most brightly lit, most detailed in its rendering and most sharply focused. All of these are devices to attract the eye to the most important part of the composition. He draws attention to the figure, further, by contrast with the background for which he uses a limited palette, in this case, one color, sepia and which he varies tonally only. There is very little detail in the rendition of the background in comparison with, say the face of St Jerome. Notice how the brightest colors are in the cloth next to St Jerome. And the sharpest contrast in tone is between the line that is on the edge of his right elbow and traces its way along his shoulder to a sharp point under the right ear. This leads our eye to the face. See also, how this contrast is sharpened by making the background very dark immediately adjacent to this edge. Compare Barocci’s with a painting from nearly 50 years later of the same subject. It was painted by Jose De Ribera painted in 1646. Ribera was a Spanish artist who spent most of his professional life in Italy. We can see the same stylistic features present, except that now the face of St Jerome is not the main focus. De Ribera directs us instead, to the Word as exemplified by the scroll. St Jerome produced the Latin Vulgate translation of the bible and it is to this that Ribera directs us. Perhaps, he is making the point that Catholics do take scripture seriously to those protestant reformers who alleged otherwise! The contrast between light and dark that is so pronounced in baroque art is intended to acknowledge the evil and suffering that is present in this fallen world but to contrast it with the Light that overcomes the darkness. By the Christian hope, which transcends suffering, is portrayed. In only a few years, this form of idealized naturalism became the model for all sacred art for the Roman Rite. As with all authentic traditions, there is room for the artist to maneuver within the bounds that define the tradition so that we get differing individual styles - some might use a lighter ochre or a number of pigments and not exclusively sepia for the tonal rendition, for example - but broadly speaking all stuck to it. Tiepolo. who was from Venice, developed a lightness of touch through his use of greys and orange ochres. The development of the baroque style was nipped in the bud at the end of the 18th century and early 19th century when a neo-classical style first replaced it in the academies. In my opinion, if we want to inspire a powerful Counter-Modern or Counter-Postmodern Catholic culture today, then we need to reconnect today's worship with art so that people are engaged with it in the course of their worship (rather than having their noses buried in missals). We cannot influence contemporary culture constructively if our culture of faith is disconnected from our worship. This would involve in part some legitimate development of the style of worship normally associated with the 1962 Missal, I think, but also we need a style of that works in harmony with this. One suggestion would be to re-establish the baroque tradition (note not 19th-century realism of the sort that we see on the ARC website) in the way that the Eastern Churches reestablished the iconographic tradition. We start with something that is a replication of the past style. If we stopped there, it would not work, because these works I have shown are of their time and place - they really are Tridentine, of the period following the Council of Trent. Once we are able to replicate we then begin a process of allowing contemporary influences to be absorbed, using discernment to ensure no detrimental influences, so that it becomes a tradition that speaks to today's Catholics. An example of someone who did this in the 20th century and might be a model, at least in part, for today is the Italian artist Annigoni, whose work I have featured on this site before. St Benedict by Annigoni who died in 1988.